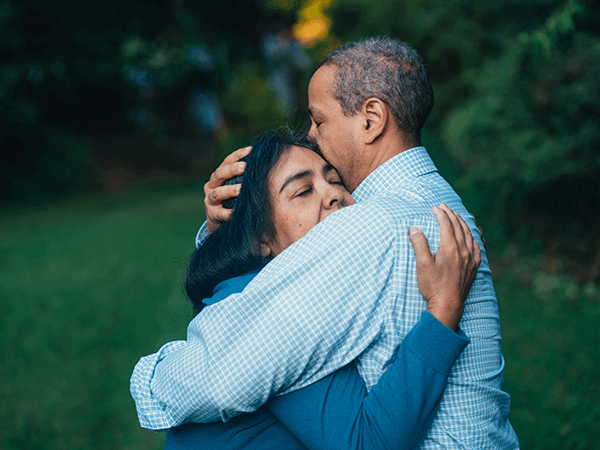 During this difficult time, there are decisions to be made immediately, arrangements to be coordinated, and a lot of things to be considered for your loved one’s final farewell. We understand how this may feel overwhelming, especially with the grief you’re feeling over the loss. Please know that we are here to help and support you. Call us at 409-763-4621. If the death occurs in the workplace or at home, you will need to get in touch with emergency medical personnel, and they will contact his/her physician as the cause of death must be identified and indicated in legal documents. In the event that no one is present at the time of death, you will need to contact the police before moving the deceased to another location. If a death occurs while out of the state or country call J. Levy & Termini Funeral Home. We will work with our associates to make all the necessary arrangements to have your loved one brought home as quickly as possible. Our caring funeral director can assist you with your funeral arrangements. We will collect information from you in order to facilitate the transfer of your loved one’s remains to our facility. You will be asked if the deceased has made pre-arrangements and whether or not you’d like for him/her to be embalmed. Of course you can ask any questions you have during this call but once you visit the funeral home, we will discuss the arrangements in greater detail. During this call, you will also be informed about the things that you need to bring with you. Remember that we are here to listen to you, help you, and guide you during this difficult and trying time.Feel free to call us whenever you feel the need to. On your first meeting with us, we will discuss the arrangements for your loved one’s burial. You will be shown a list of our packages/services so you can decide what suits your family’s preferences and budget. You will be asked whether you’d prefer burial or cremation arrangements and optionally you will select a casket, schedule a time and date for the services, decide on the location of the burial, arrange for vehicle services, and select pallbearers. Use our obituary information form to begin collecting information for writing a draft obituary. We would also use this opportunity to learn more about your loved one so that we have a better understanding of the person the services will honor. It will be extremely helpful if you bring some memorabilia — photos, videos, treasured items, letters — that would give us a clearer picture on how you envision paying tribute to your loved one. A death certificate is a legal document indicating the cause of death, including other vital statistics pertaining to the deceased, signed by the attending physician. In case your loved one died due to an accident, a coroner or the county medical examiner may prepare the form. You may request and purchase certified copies of the death certificate at the time of the arrangements. These certified copies are important when gaining access to bank accounts and safety deposit boxes, claiming for benefits due to the family (like the Veteran’s benefits or insurance claims), and transferring or selling ownership of properties.